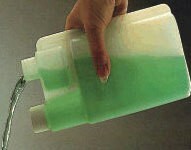 Amazing tip and pour, 2-in-1 measuring/storage container. 16-oz. storage capacity. Accurately measures up to 1 ounce before pouring. 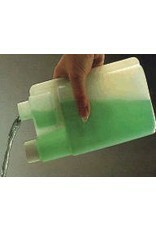 Heavy duty, chemically resistant polyethylene. Reusable.